The Treasury Department recently released new withholding tables based on the recently passed tax-reform bill. These tell employers how much to withhold from their employees' paychecks, and 90% of workers should see an increase when the new guidelines are implemented. Here's what this means, when you should expect the change to affect your paycheck, and how much of an increase you should expect. 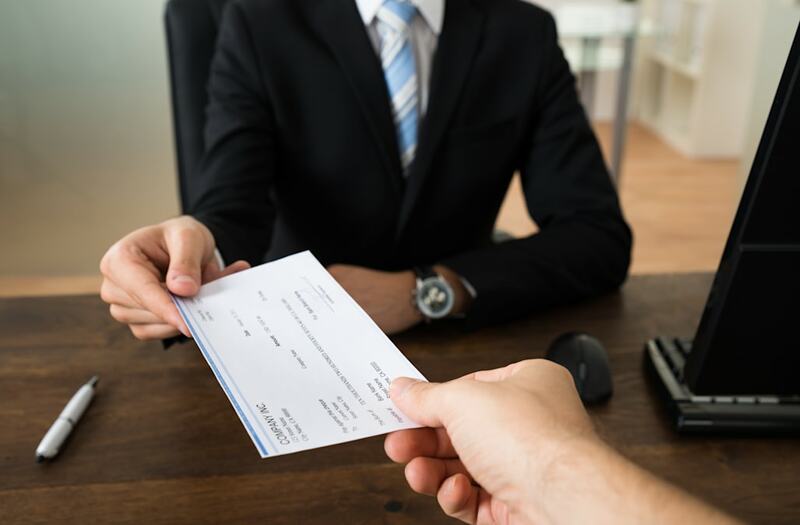 The U.S Treasury Department releases annual withholding tables for employers that provide a framework for how much they should withhold from their employees' paychecks to cover federal income taxes. Without getting too technical, the withholding tables consider information such as your income, paycheck frequency, tax-filing status, and the number of allowances you claimed on your W-4 form. The tables use this information in conjunction with the current tax brackets to determine the appropriate amount of money to withhold from each paycheck for federal taxes. When do the new withholding tables go into effect? The new withholding tables can be used by employers right away, if they so choose, so you could see an increase as soon as your next paycheck arrives. However, employers aren't required to comply with the new withholding tables until February 15. If your employer chooses to wait, it's possible that the new tax changes won't be reflected on the first few paychecks you receive in 2018. How much of a difference will it make to you? Locate your most recent pay stub and check how much was withheld for federal income taxes. Keep this number handy. Start with your gross (before tax) income. You can find this on your pay stub, or by dividing your annual salary by the number of times you get paid each year. Subtract the number of allowances you claimed on your W-4 times the appropriate payroll-frequency factor, which you can find on the front page of the new withholding tables. (If you aren't sure how many allowances you claimed, your payroll department should be able to tell you.) This is the amount of wages you'll use to determine your new withholding amount. Use this number with the table that corresponds to your filing status and payroll frequency in the new withholding tables to calculate your new per-paycheck withholding amount. Subtract this number from your current per-paycheck withholding, which you determined in step 1. This is how much your paycheck could increase. Let's say that you're a single taxpayer and you earn $50,000 per year, paid biweekly. For each pay period, you earn $1,923.08 before any taxes are withheld. When you filled out your employment paperwork, you claimed two allowances. Now we'll use the 2018 tables. In 2018, each allowance reduces your wages for withholding purposes by $159.60, so your income is reduced to $1,603.88. Using this amount along with the 2018 withholding tables based on the new tax brackets, we find that your per-paycheck withholding should drop to $168.09. Your paychecks should go up by about $96.44 because of the lower federal withholding called for by the tax-law changes. The IRS also announced that it's in the process of designing a new W-4 form, which will more accurately reflect changes in the tax law that could impact workers' appropriate withholdings, such as the increased child tax credit and changes to itemized deductions. And for 2019, the IRS "anticipates making further changes involving withholding." In short, while your federal withholdings are likely to change shortly, there's a good chance that they'll change again in 2019 once the IRS' forms and procedures are better adapted to the new tax law.